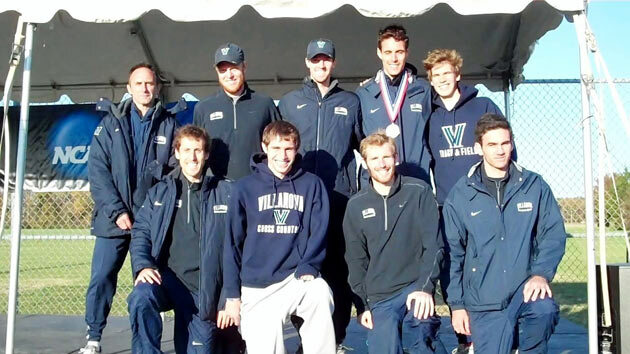 Georgetown surprised as the NCAA regional champ (with 4 of the top 8 finishers), but Villanova's strong second half surge beat Princeton and guaranteed a spot at the NCAA cross country nationals. Villanova's top 5 passed 79 runners after the 5K mark of the race; at halfway their team score was 142, but they finished strong to score only 63 at the end. Senior Ryan Sheridan ran his best race in a Villanova singlet and was 2nd overall, with Matt Gibney in 5th. Sam McEntee was 16th overall, and the top freshman in the race. 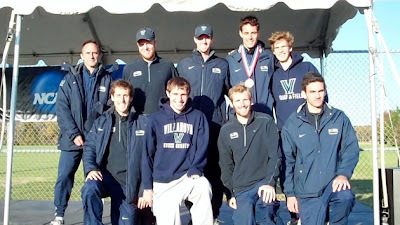 Villanova ran today without Keith Capecci. Princeton's Don Cabral won the race by 8 seconds over Sheridan.